The constitutionality of the bifurcation of Andhra Pradesh to carve out a separate state of Telangana will be subject to judicial review as the Supreme Court on Friday issued notice to the Centre seeking its response in the matter. A Bench of the Apex Court presided by Justice H. L. Dattu on Friday, issued notice to the Centre on a batch of petitions including the petition submitted by the former Chief Minister of Andhra Pradesh, Kiran Reddy regarding the division of Andhra Pradesh. The Bench favoured adjudication of the issue by a Constitutional Bench of the Apex Court and said question of granting a stay of the bifurcation of the State could also be considered by the Constitutional Bench. The petitioners contend that the bifurcation of the State is illegal and unconstitutional. They further contend that in spite of being rejected by the State Assembly, the Bill for the creation of Telangana was pushed through in Parliament at the instance of the Centre. The Apex court received on file as many as 18 petitions challenging the bifurcation of the Andhra Pradesh. Earlier- on 7 and 17 February respectively, the Supreme Court had declined to hear petitions challenging the bifurcation of Andhra Pradesh on the ground that the petitions were “premature” as the Bill was not cleared by Parliament. 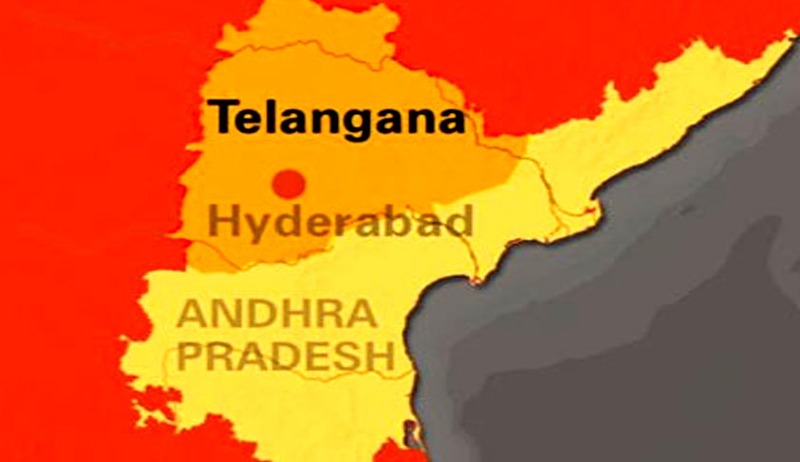 The Home ministry has declared that the Foundation Day of the new state will be on June 2 when the new state of Telangana will come into existence.